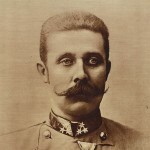 Archduke Franz Ferdinand was the heir to the Austrian-Hungarian throne. He was assassinated in Sarajevo. Along with many other reasons for the war beginning his death was the trigger to the begging of the First World War. WW1 was a horrible conflict, know as the Great War. It was meant to be the War that ened all wars- we know now that was not the case. The war lasted four year and it had a devastating effect killing millions of people, and injuring many more. Australian's showed much enthusiasm to being involved in the First world War. A new nation at the time Australia was very eager to prove its self. Australia entered the war the very same day the Brittan did. This battle was fought on the western front in the early stages of the war. The battle took place at Marne River on the outskirts of Paris, France. The battle ended up being a Allied victory. The battle was fought in the town of Ypres in western Belgium. The battle is also know as 'First Battle of Flanders'. Ypres is a strategically placed town which become the home to many more World War 1 Battles. During the first year of the War there was remarkable occurrence where on the first Christmas of the war, troops from both sides got along with eachother sung christmas songs together, wished each other Merry Christmas, and in one particular part were even friendly enough to pay a game of soccer. The battle marked the first time that Germany used poison gas on a large scale on the Western Front. The battle ened in Stalemate. The Galliopli Campaign is one of the most celebrated and well known battles for Australians. The starting date of Gallipoli marks ANZAC day. The Campaign took place on the Gallipoli peninsula in the Ottoman Empire now known as Turkey. The idea behind the campaign was to secure a sea route to Russia. Verdun was one of the major battles fought on the Western Front. It was fought between the German and French armies. The battle was fought in the city of Verdun in north eastern France. The battle ended with a French tactical victory. The battle took place either side of the river Somme in France. The Battle stretched for over 40kms. By the time the battle paused in late autumn there had already been more than 1 million casualties. The Somme was one the largest Battles of World War 1. The Battle of Fromelles is a Battle not very well known to Australians but it is one that definitely should be. With over 5,500 deaths in under 24 hours the Battle of Fromelles is the worst 24 hours in Australia's entire Military history. In 24 hours there were more deaths then the Korean, Vietnam and Bore war combined. The Battle was set up as a decoy to draw German troops away from the Somme. It was pretty much a suicide mission. Congress authorizes a declaration of war against Germany. The United States enters World War I on the side of France and Britain. After pearl Habour. Also known as Third Battle of Ypres, this Battle took place in the town of Ypres. It ended in Allied victory. The Battle took place in Cambrai, France. 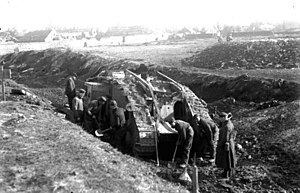 Cambrai was a key supply point for the German. Cambrai was a British Campaign. The Germans sign a peace treaty with the new government with Russia. This caused serious problems for the French, British, and Americans. Also known as the Fourth Battle of Ypres and the Third Battle of Flanders. It was originally planned by the Germans with the objective of capturing the town of Ypres therefore forcing the British forces back to the Channel ports. The second Battle of Marne was the last major German Spring Offensive on the Western Front during the First World War. The defeat over Germany marked the start of the Allied advance which resulted in Armistice about 100 days later. The Second Battle of the Marne could be considered as the beginning of the end of World War 1. The Fifth Battle of Ypres is also known as the Advance of Flanders and the Battle of the Peaks of Flanders. It was one of the final Battles of World War 1. It ended in Allied victory. The Treaty of Versailles was a peace Treaty signed at the end of World War 1. It was signed at the Place of Versailles in France. The treaty was signed exactly 5 years after the assignation of Franz Ferdinand. One of the most important and controversial requirements of the treaty made Germany accept the responsibility of causing the war.